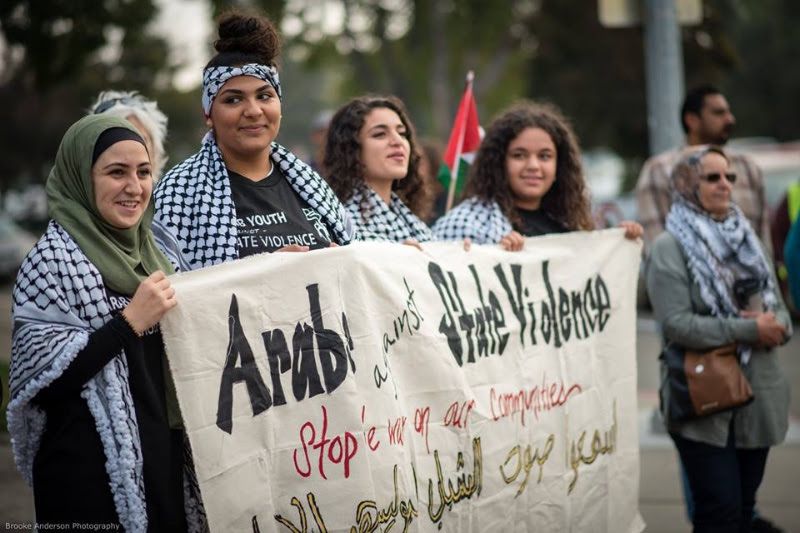 Arab Resource and Organizing Center | We Put an End to Urban Shield! A victory against Israel and US militarism! For the last six years, AROC, has been a part of the Stop Urban Shield coalition, working to put an end to the largest militarized SWAT training program in the world. Each year on the weekend of 9/11 international police agencies, including apartheid Israel, come train local law enforcement and emergency responders in paramilitary operations. And this year, we put an end to it! Urban Shield represents everything our movements are fighting against — from depicting Arabs and Muslims as terrorists, collaborating and training with ICE, hosting the white supremacist militia the Oath Keepers, training with and sending officers to apartheid Israel, glorifying policing and militarization, exploiting tragedies, natural disasters and public health needs, and continuing to align with Alameda County Sheriff Ahern’s support of the TrumpAdministration — Urban Shield has no place in the Bay Area or anywhere. Congratulations to the San Francisco Bay Area for once again setting a precedent for the rest of the country. Ending Urban Shield reminds us that we can win through cross movement building and strong organizing. It is a testament to our ability to shift power and win! Our work continues! Let’s continue to build strong and healthy communities as we put a stop to militarization here and in our homelands.